PLAYOFF BOUND - Lady Oiler senior midfielder and team captain Karina Gonzales clears out the ball against Brazoswood. The Lady Oilers fell 3-1 to the Lady Bucs and finished the regular season in third place in District 23-6A. 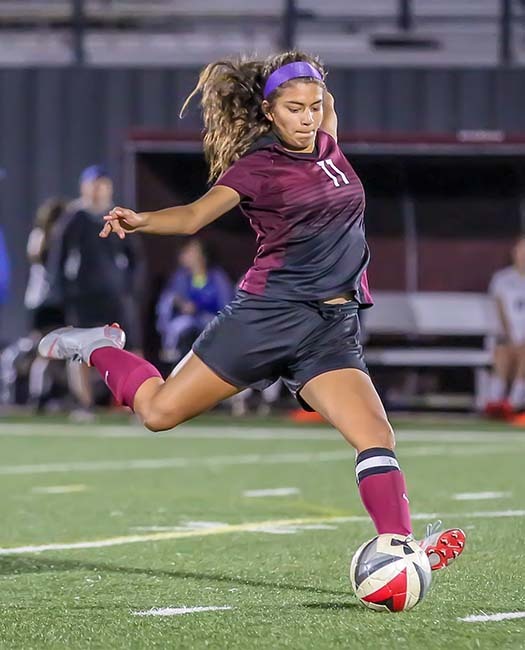 PEARLAND — Lady Oiler senior midfielder and team captain Karina Gonzales clears out the ball against Brazoswood. Pearland looks to bounce back in the first round of the Class 6A Region III playoffs when they face Clear Falls at Manvel High School on Friday March 29 at 7:30 p.m.